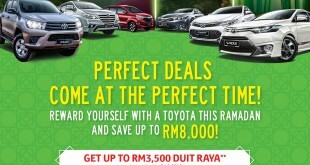 Thanks to Energy Efficient Vehicle (EEV) Incentive by the Malaysian Government, the retail price of the 2017 Toyota Fortuner is now reduced up to RM 16,000. 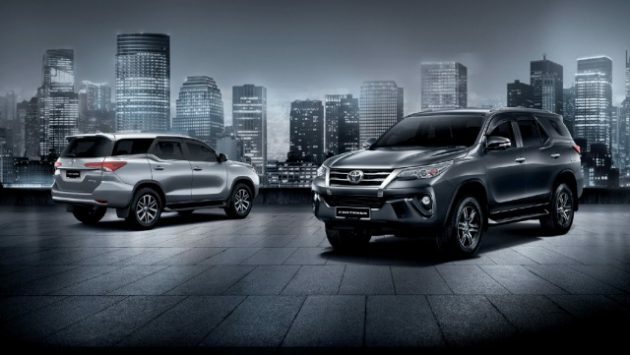 “We are grateful to the Malaysian Government for recognising the Toyota Fortuner as an EEV. 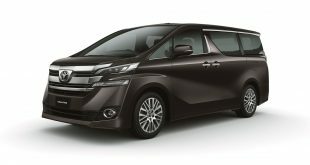 Since the announcement of the current National Automotive Policy in January 2014, UMW Toyota Motor has strived to support the policy and assembling EEVs demonstrates our commitment. 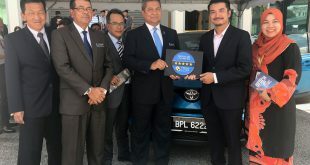 UMW Toyota Motor is working closely with Toyota Motor Corporation to identify future models which can be assembled locally and meet the EEV criteria,” said Akio Takeyama, Deputy Chairman of UMW Toyota Motor. In meeting the EEV criteria, the Fortuner 2.7-litre petrol engine and 2.4-litre turbodiesel engine have been tuned to achieve high fuel efficiency so that the owners can travel for a longer distances with the 80-litre fuel tank. Additionally, with the 6-speed electronically-managed automatic transmission, gear selection is always optimised to enhance fuel efficiency. In term of safety, the Fortuner has been rated 5 stars by ASEAN NCAP for its improved structural strength and enhanced safety features which provide the best possible protection for the occupants. Besides that, it also received the Best SUV/Crossover award at the Car Sifu Editor’s Choice awards last year. 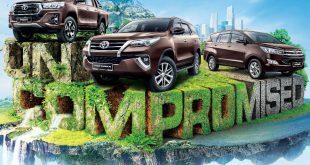 As the Fortuner is new in the Malaysian market, having been launched in May 2016, the specifications for the 2017 model are unchanged. 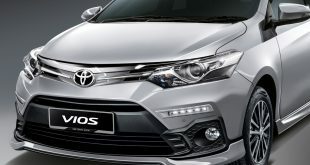 The top grade includes Bi-LED headlamps, Power Back Door, 7 SRS airbags, Vehicle Stability Control (VSC) and 6-speed sequential automatic transmission with paddle shifters. The model has a reinforced chassis frame which maintains the legendary toughness or QDR (Quality, Durability & Reliability) of the model while comfort has been significantly improved not just with suspension revisions but also better sound insulation for much quieter cabin. As with other Toyota models sold by UMW Toyota Motor, the Fortuner comes with a full 5 years warranty with unlimited mileage.